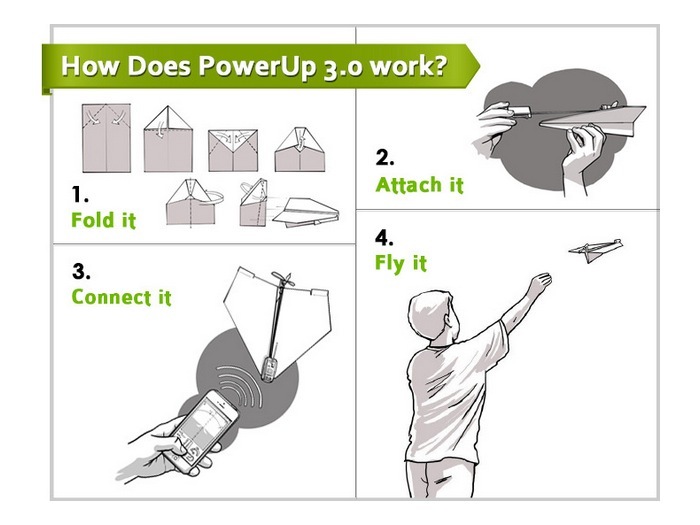 If you are looking a a unique gift you might be interested in this awesome and innovative smartphone controlled paper airplane called the PowerUp 3.0, that has been designed to allow you to transform your self-made paper airplanes into a smartphone-controlled flying machines. 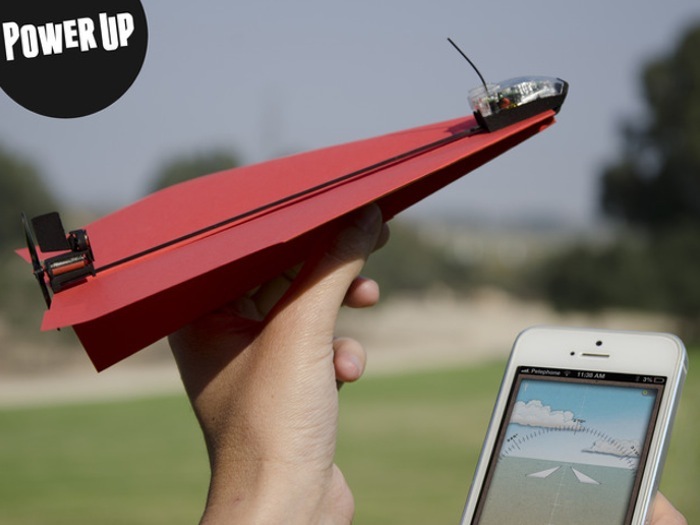 The PowerUp 3.0 smartphone controlled paper airplane is fitted with an ultra lightweight control system which uses Bluetooth low energy connectivity to make the link to your smartphone. The PowerUp 3.0 smartphone controlled paper plane system offers users a useable range of around 55 meters and is also fitted with a Micro-USB charging port that can be used with the supplied 1000 mAh Lithium Polymer power pack, which is available when you pledge for the Perfect Package over on the Kickstarter crowd funding website. The PowerUp 3.0 paper plane is currently looking to raise enough pledges to make the jump from concept to production. So if you think PowerUp 3.0 paper plane is something you could benefit from, visit the Kickstarter website now to make a pledge and help PowerUp 3.0 paper plane become a reality.